The term ‘supplement’ is not a strange one. You may have come across it reading your favourite health magazine and may have seen it on the shelves of your local store. You may have used supplements before or even recommended them to someone else. The point is, they are common and some of them are well understood even by the average man on the streets. A food supplement is defined as ‘any food for the purpose of which is to supplement the normal diet and which is a concentrated source of a vitamin or mineral or other substance with a nutritional or physiological effect, alone or in combination and is sold in dose form’. And today’s “dietary ingredients” includes vitamins, minerals, amino acids, enzymes, herbs and botanical, concentrates and many other products. These supplements may be found in many forms which include but not limited to tablets, capsules, soft gels, gel caps, liquids, or powders. Basically, the many forms are designed to provide convenient options. If the user finds it difficult to swallow Capsule or tablets, many supplements are available in liquids and powder which may be incorporated into meals. 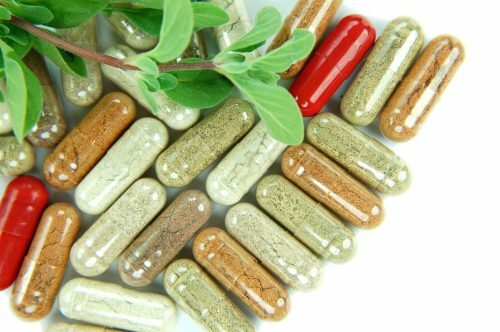 There are many reasons why health supplements are consumed. Chief among them is to get an adequate amount of essential nutrients into the system. It can, to some extent, help compliment the treatment of a medical condition. Which would in such case, be as a result of a recommendation by your health care provider. As per regulations, makers of health supplements cannot legally say that vitamin supplements can diagnose, treat, cure, or prevent disease or sickness. Instead, what’s appropriate is to say they contribute to health maintenance and overall well-being. Which is in accordance with results of some scientific findings. They can support your body with immune defence, your mood when tackling stress or anxiety, or even for sports. The US food and drug administration (FDA) stipulates that dietary supplement labelling include a descriptive name of the product stating that it is a “dietary supplement” in clear and unambiguous terms. Also required in the labelling includes: the net quantity of contents statement (amount of the dietary supplement); the nutrition labeling; the ingredient list; and the name and place of business of the manufacturer, packer, or distributor. Now, when was the last time you took a critical look at the label wrapped around a supplement bottle? My safe guess is: probably never. Even if you did, what did you make of the words and numbers and terms and percentages? My good guess again: probably nothing. While we encourage consumers to be patient and vigilant enough to read what’s on the label, we are also confident that at least finding themselves a tested and trusted health supplements supplier would allay any fears of consuming a harmful product. Since any honest supplier has a reputation to maintain. However, being a major player in the supplement industry, it is important that we draw the awareness of unsuspecting customers to the practice of some manufacturers whose labeling are structured to mislead rather than inform. For a fact, the FDA has definitions for terms like reduced sugar, no added sugar, and sugar-free. So if you come across any of those terms when perusing a vitamin supplement’s label, that’s not a problem. But what if the label reads “lightly sweetened”; what does that mean? Well don’t ask the FDA, they don’t have a definition for that. In essence, it is made up and means nothing. Just a marketing gimmick conned by a marketing executive of the manufacturer. For an average customer looking to purchase a vitamin supplement, the least you could ask for is what the manufacturer says you’d get. If the labels say calcium, iron, and fibre, then you should get calcium, iron, and fibre. No more, no less. But it seems even that is too much to ask and some manufacturers aren’t looking to deliver what they promise on the label – if test conducted by New York attorney general Schneiderman is anything to go by. According to the attorney general’s findings, 79% of the supplements tested did not contain the primary ingredient listed on the label. Many of them contained other plant material, including plants that might cause an allergic reaction in unsuspecting customers. The solution? Always stick with a supplier who deals only with manufacturers that stick to standard foods regulations. General food law, food safety Legislation and food controls. Good Manufacturing Practice (GMP) is a system for ensuring that food is not adulterated, is safe for human consumption and consistently produced and controlled in accordance with established quality and food safety standards. Hence, GMP is designed to minimize risks in any food production that cannot be eliminated through testing of the final product. ISO 9001 is a process-focused quality management system (QMS) standard that requires all quality system processes to be measured, monitored, controlled, and improved. Business and quality objectives must be established for relevant functions at appropriate levels, and these must be measurable. Remember the advice about sticking with health supplement suppliers who know the rules and stick with them? Supplement tree is well aware of its responsibility as a major supplier of health supplements products. We understand the fact that significant quality management benefits can be obtained by dealing with GMP-registered manufacturers who comply with ISO 9001 standards. Aside from the legal consideration, our customers place enormous confidence in our products and services in the knowledge that we play by the rules.